Photos provided by Barb Heiss, Karl Spisak, Brian Nichols and Phil Smoot. 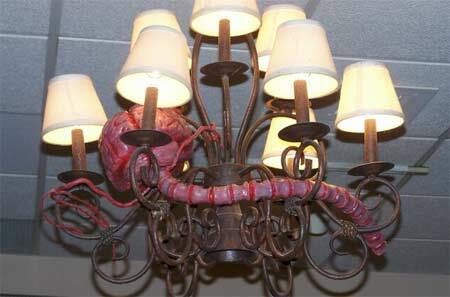 The flying brains from FIEND WITHOUT A FACE made it to Monster Bash in honor of movie producer Richard Gordon's appearance! 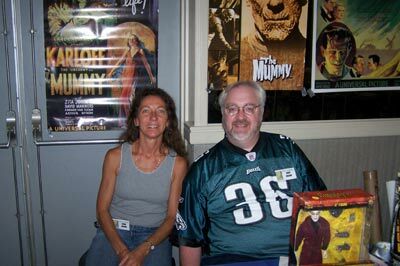 Rita and Dave of Monster Mania at Monster Bash. Dylan and Dennis Druktenis....oooooo scary! 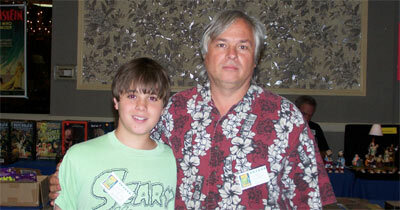 Dennis publishes Scary Monsters Magazine, our advertising sponsor! 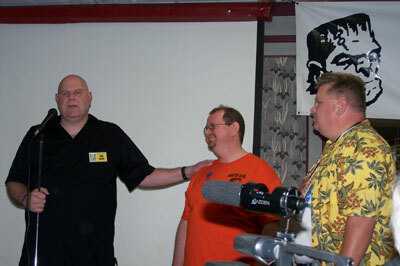 Don Reese, Jeff Barnes and Gerry Goodwin on stage at Monster Bash. 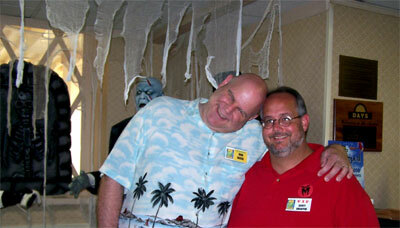 Don Reese and Scott Sheaffer - Bash Buddies! 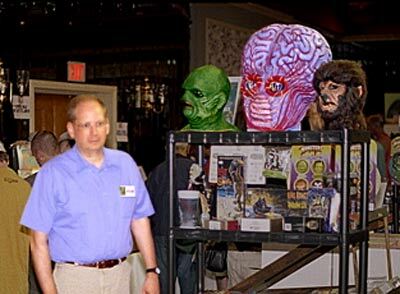 Attendee Eddy Daniel hanging with the Metaluna Mutants in the Monster Bash Dealer Dungeon. A Sheaffer Monster Kid and Melody Stevens relax in the lobby at Monster Bash. 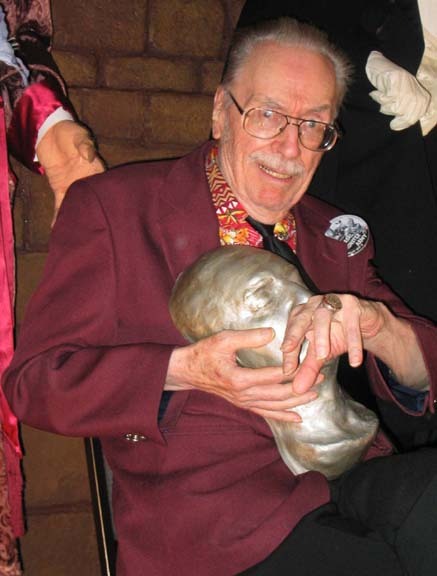 Forrest J Ackerman, always the "Head-of-the-Class" at Monster Bash. 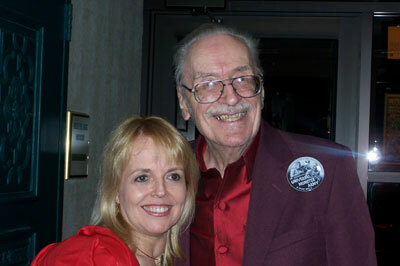 Actress Susan Gordon and Uncle Forry. 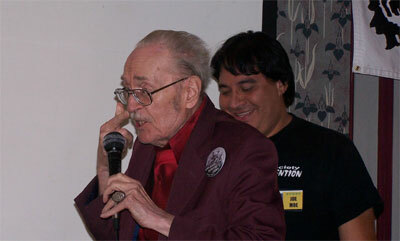 Forrest Ackerman still cracks up confidant Joe Moe. 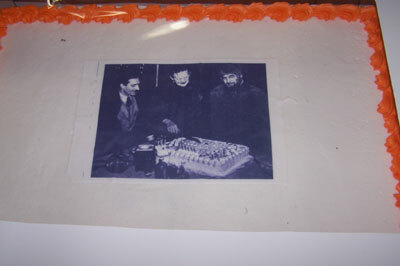 The cake of the Frankenstein Monster (Boris Karloff) cutting the cake in 1939. 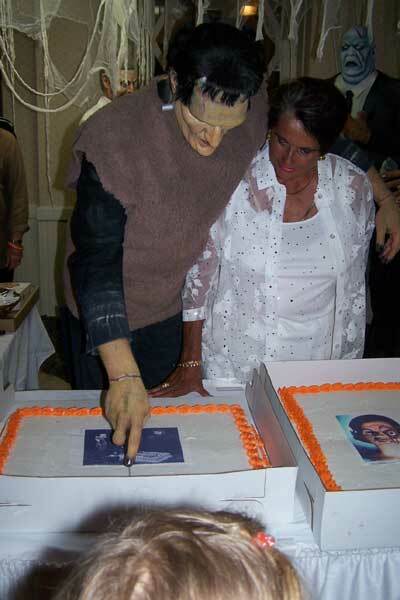 The Frankenstein Monster cutting the cake of the monster cutting the cake with Sara Karloff. Monster make-up: Ron Chamberlain. The Monster: Todd Spiedel. 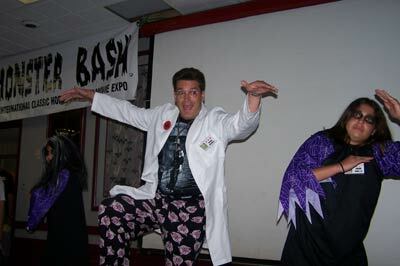 Brian Nichols with his Ghoul Girls ready to defend themselves against the monsters! 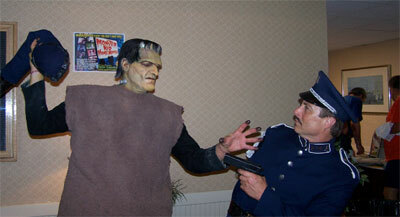 The monster gets ready to whoop Inspector Krogh with his own arm. Make-up: Ron Chamberlain. The monster: Todd Spiedel. The inspector: Mark Statler. 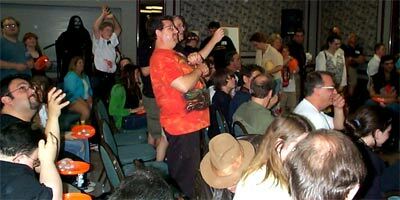 Orange Tor Johnson frisbees fly through the air for lucky attendees at midnight at Monster Bash 2005! 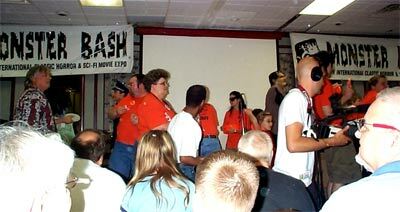 The fun never stops in the Monster Bash movie room. 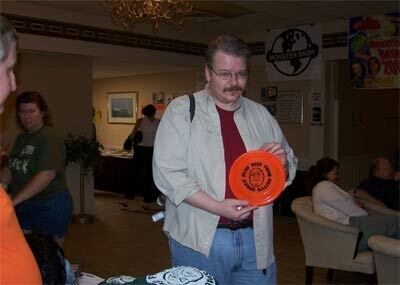 Big Monster Kid Gary Prange displays a Tor Johnson frisbee! Movie Producer Richard Gordon laughing at Ron Adams and Bob Pellegrino trying to remove a FIEND WITHOUT A FACE from Ursula Adams' hair! It was a fiend!